MOSCOW, April 20. /TASS/. Lokomotiv Moscow FC footballer Igor Denisov was fined one million rubles ($16,300) for insulting a doping control officer during an out-of-competition testing earlier this week, a senior Russian anti-doping official told TASS on Friday. "During the doping test at the training site of Lokomotiv FC on April 16 Denisov insulted an inspector by leaving an insolent inscription in the final protocol of the test," Margarita Pakhnotskaya, RUSADA’s (Russian Anti-Doping Agency) first deputy director general, said in an interview with TASS. "This is absolutely inadmissible and the Russian Football Union (RFU) jointly with the management of Lokomotiv FC reacted promptly," she said. "The footballer was subjected to a fine of one million rubles." "I was also told that the player was most likely to be suspended from one of the upcoming matches," Pakhnotskaya added. A decision to suspend Denisov from one of the future matches can be made only after a relevant case would be launched either by the Russian Football Union’s Control and Disciplinary Committee or Ethics Committee. Lokomotiv Moscow FC announced on Friday in its statement for TASS that both the club and Denisov extended their apologies to the doping control officer over the reported incident. "Lokomotiv football club regrets about the incident, which is connected with some misunderstanding during the formalization of the anti-doping document," the statement said. "The next day after the incident, the club provided all explanations to the Russian Anti-Doping Agency and the Russian Football Union, while the player at the issue extended personal apologies." 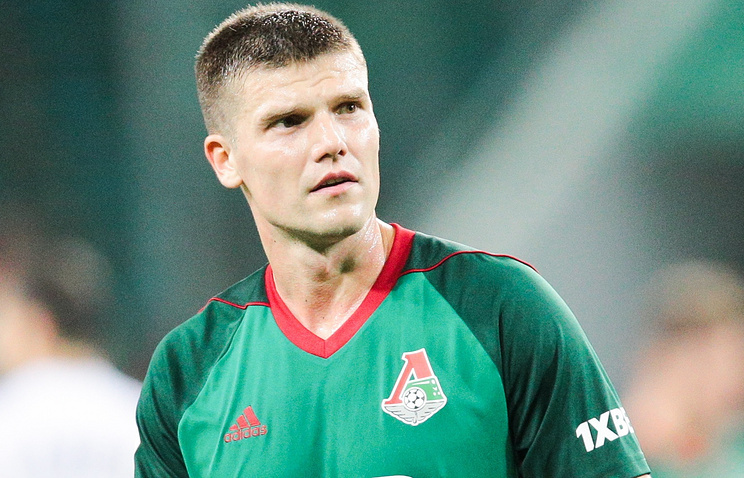 Denisov, 33, joined Lokomotiv FC in August 2016 on lease terms from Dinamo Moscow FC. In February 2017, the footballer signed with Lokomotiv FC a contract, which comes into effect starting this summer.